Your eyes are one of your best features, and when your eyelashes are long and full, they add to your appearance. Many of us were not born with perfect lashes. Some of us have short, thin lashes, barely visible lashes, some gaps, etc. Many of us spend a lot of time applying false lashes or buying countless tubes of volumizing mascara. It would be great to wake up every day with naturally long, lush, dark eyelashes. With Latisse® eyelash restoration, that is now possible. 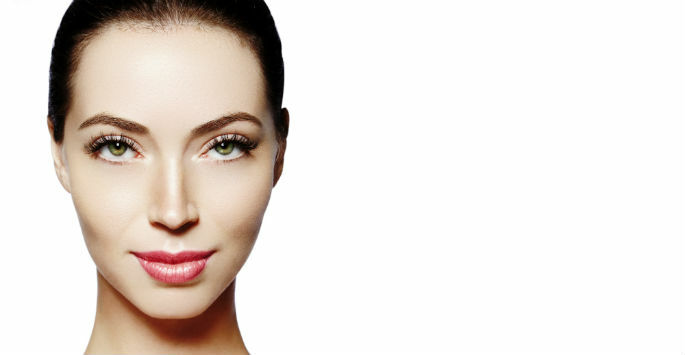 The cosmetic treatment is the only FDA-approved product available to grow your natural lashes. It works fast and yields impressive results. Brush-On Treatment The beauty of prescription Latisse® is in its simplicity of use. It is applied at night before you go to bed and only takes minutes, if that, to complete. A package of Latisse® comes in a box with a 30-day supply. It includes a bottle of serum and disposable brush applicators. To apply it, you add one drop on the applicator, and gently brush it on the upper eyelid. Then, throw the brush away. Next, place another drop of Latisse® on to another brush and apply it to the other eyelid before throwing that brush away. It is that easy and quick. How It Grows Lashes The safe eyelash restoration treatment has been used by millions of women because it produces incredible results. The serum has the ability to increase the length of the growth phase during the natural eyelash cycle. In addition, the treatment increases the total number of hairs during the growth phase. Numerous clinical studies have been conducted on Latisse®, and the numbers tell the story. For instance, participants in the research found that after four months of treatment, their lashes were 25 percent longer, 106 percent thicker and 18 percent darker. Latisse® works gradually and steadily, and most users of the serum begin to notice some results around eight weeks. Full results can usually be seen at 12 to 16 weeks. Not Just for Celebs Actresses Claire Danes and Brooke Shields have been the most famous Latisse® clients. They have also served as the brand’s ambassadors for the famous eyelash treatment. There are many over-the-counter products with a lot of hype for eyelash restoration, but these formulas cannot grow lashes. They only condition the eyelashes to make them appear fuller. Fans of Latisse® know that this unique brush-on treatment is the only one that delivers real results. Everyone likes glamorous, Hollywood-like lashes, and you, too, can achieve them within weeks thanks to this treatment. Ask most women, and they will agree that long, full, dark lashes are a great asset to have. For those of us who weren’t lucky to be born with them, Latisse® has leveled the playing field. If you live in Massachusetts, New Hampshire, or Rhode Island and you’re interested in eyelash restoration, make an appointment at New England Center For Hair Restoration, located in North Attleboro and Westwood. Contact us today to set up a consultation and learn more.